Is it necessary to use an SSD as the system disk? How to replace your current system disk with an SSD? This post will show you two piece of third-party tools to migrate Windows 10 to SSD without reinstalling operating system and applications. Generally speaking, the manufacturers always use a traditional hard drive in a computer. But, as for some users, the HDD can’t meet their requirements, for example, the computer running speed is fairly slow. In this situation, the SSD is gaining popularity because of its outstanding feature – fast read-write speed. If you install Windows 10 to an SSD, your computer can start up and deal with data quickly. If you use an HDD as system disk, reinstalling the operating system on SSD is not the good option since it can cause the beginning of everything, which is troublesome and time-consuming. Is there any way to achieve your aim? How about migrating Windows 10 to SSD with a third-party program? Wonderful! 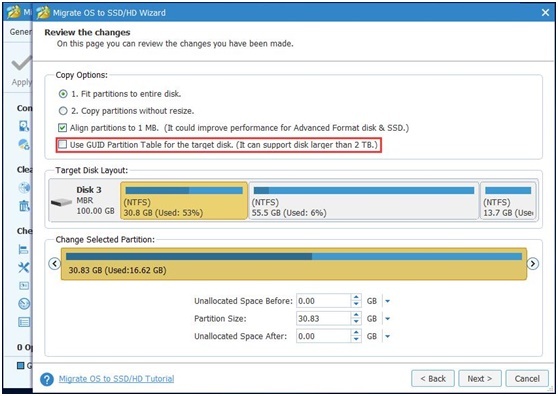 See the details in the following part or read this post How Can You Migrate Windows 10 to SSD without Reinstalling OS to get the answer. SSD should be prepared. Note that the SSD must be big enough so as to hold the contents of the source disk. Besides, no important files are saved on the SSD since the migration process will overwrite the data. 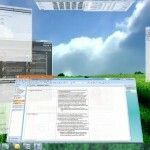 The third-party PC cloning software: MiniTool programs. At first glance, perhaps you will think this software can only be used to back up your computer with its backup feature. But, it is not true. Actually, this free program also enables you to move Windows 10 to SSD as long as you use its “Clone Disk” feature which locates in “Tools” page. Just free get MiniTool ShadowMaker Free Edition and have a try. 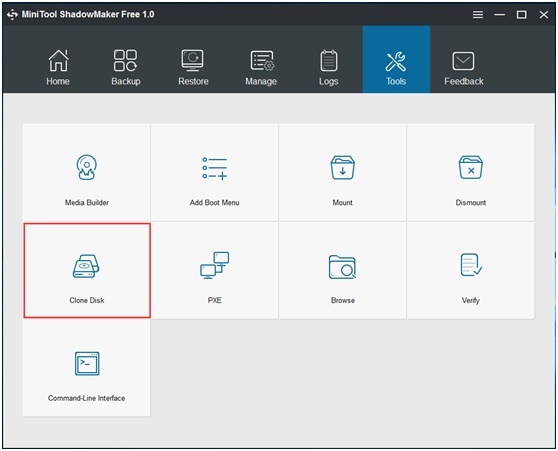 Step 1: Double-click the icon of MiniTool ShadowMaker Free on your PC, and then choose the local computer to manage. 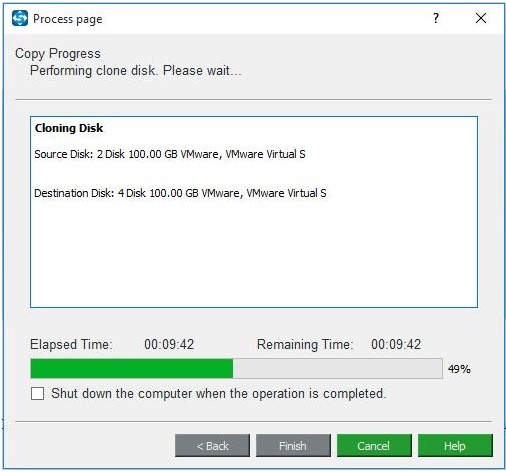 Step 2: Please enter “Tools” tab, and then click “Clone Disk” to begin the OS disk migration. 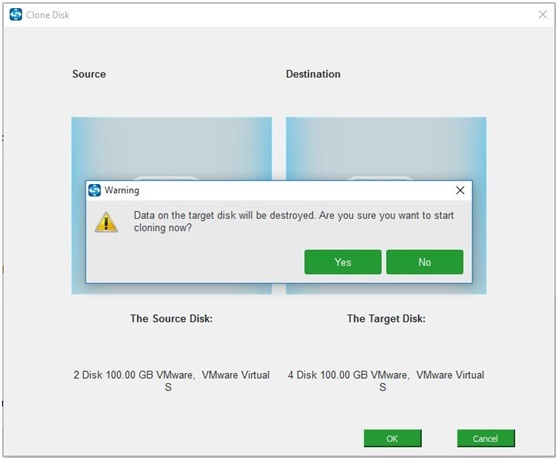 Step 3: In the pop-out window, choose the source disk and target disk. Here, we suggest choosing the system disk as the backup source and an SSD as the target disk. Then, click “OK”. Later, a small window will appear to tell you all data on target disk will be deleted. Click “Yes” to continue. After that, just remove the original system disk and connect the SSD to your PC so as to run Windows 10 fast. 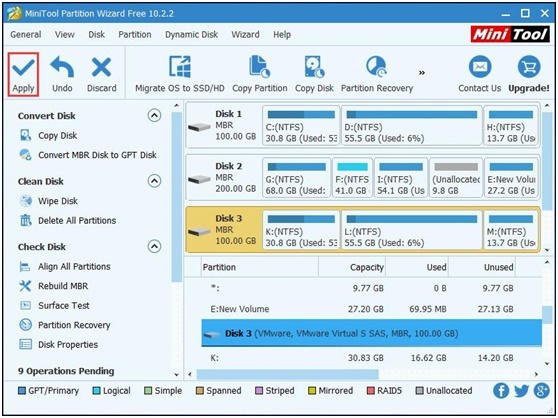 In addition, MiniTool Solution Ltd. also has another professional hard drive cloning software which is called MiniTool Partition Wizard. By means of its powerful features like “Migrate OS to SSD/HD” or “Copy Disk”, you are able to transfer Windows 10 to SSD with simple clicks. Do this now with its Free Edition. 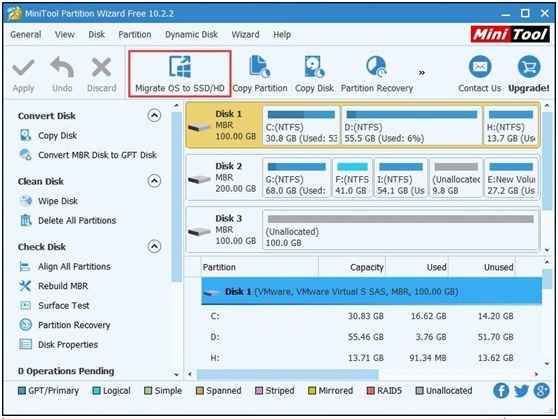 Step 1: After entering MiniTool Partition Wizard main interface, you see those two features in the toolbar. Here we click “Migrate OS to SSD/HD”. 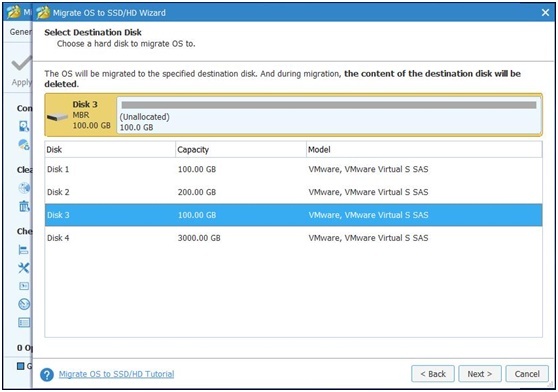 Step 2: Then, two migration methods are offered. A is suitable for the entire system disk migration. And B can help to only copy the system required partitions. Here, take A as an example. Step 3: Select the SSD you have connected to your computer as the target disk for the disk copy. 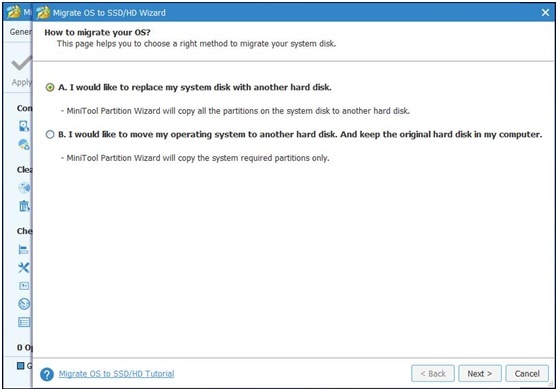 Step 4: “Fit partitions to entire disk” or “Copy partitions without resize”? It is up to you. Note that if you want to migrate OS to the SSD with GPT partition style, the Professional or the advanced one is suitable. Besides, “Align partitions to 1MB” should be checked since it can improve performance for SSD. Step 5: A window will show you how to boot your PC from the target disk. Step 6: Click “Apply” to make all changes effective. Then, replace your original hard disk with the SSD. So far, we have walked you through how to migrate Windows 10 to SSD with MiniTool ShadowMaker and MiniTool Partition Wizard. With the help of MiniTool programs, to clone Windows 10 to SSD without reinstalling operating system gets easier. After the disk cloning or OS migration, just remove your HDD, plug the SSD to the original place. Then, your computer can enjoy the fast speed. Related to "Two Programs Will Migrate Windows 10 to SSD Without OS Reinstallation"